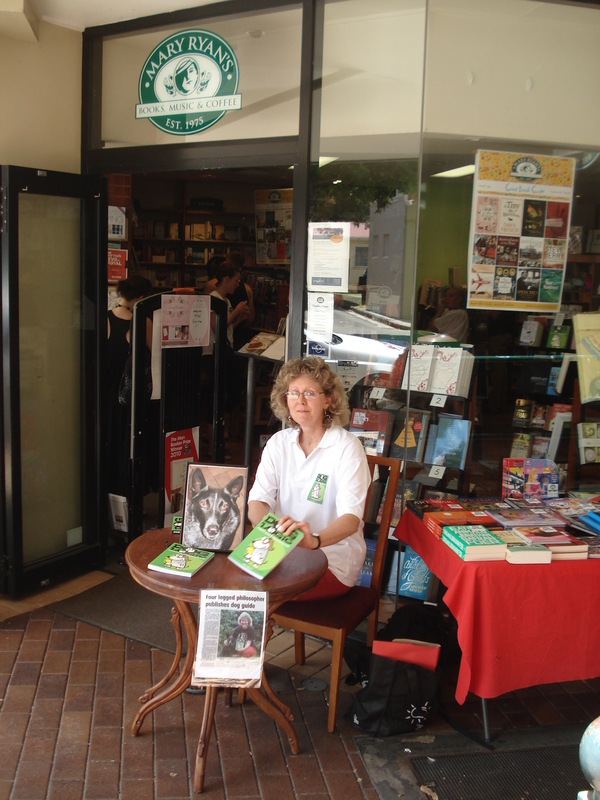 Nov 2017 Book signings My Dog Socks – Berkelouw Books, Eumundi. Oct 2017 My Dog Socks official book launch – Ford Street Publishing, Melbourne. Aug 2017 Queensland University of Technology (QUT) Author Alumni Showcase, Brisbane. Panel member, book signings and author chat. Aug 2017 CBCA Children’s Book Week – visiting author at Albert Street State School, Maryborough. Dec 2016 Author session – Bunnings, Gympie. Aug 2016 Queensland University of Technology (QUT) Author Alumni Showcase, Brisbane. Panel member, book signings and author chat. Aug 2016 Local Author Showcase – Sunshine Coast Family Expo, Kawana. 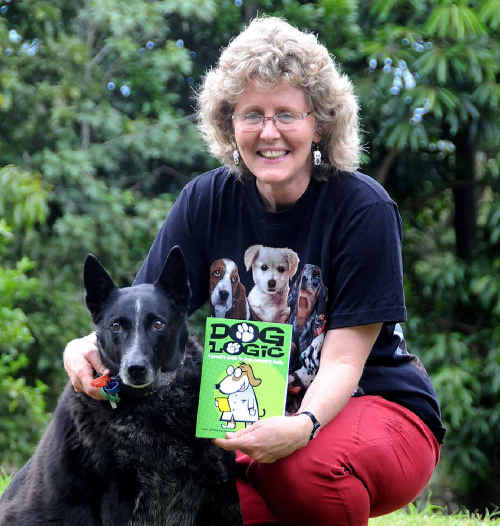 Jan 2016 Author talks – Zillmere and Everton Park Libraries, Brisbane, QLD. Feb 2015 Interview in Dee White’s blog – Writing Classes for Kids. Oct 2014 Book launch Going Fishing & Going Camping – Gympie Library, QLD. Oct 2012, 2013 & 2014 Meet The Authors – Maleny Celebration of Books, QLD. 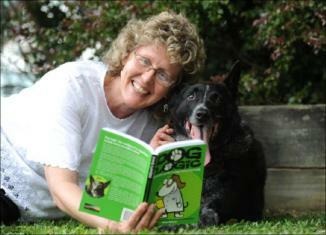 May 2012 Meet The Authors Cooroy Fusion Festival, QLD. Sep 2011 member of CYA Success Author Panel CYA Conference Brisbane, QLD. Sep 2011 Author Talk Cooroy Library, QLD. Feb 2011 Book signing Woofstock Dog Festival, Brisbane, QLD. Jan 2011 Book signing Mary Ryan’s Bookstore, New Farm, QLD. Dec 2010 Radio interview ABC Coast FM, QLD. Nov 2010 Radio interview 104.9 Sunshine FM, QLD. Dec 2010 Book signing Angus & Robertson, Gympie, QLD. 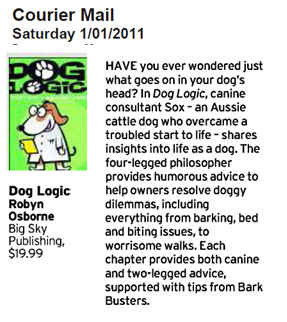 Another great review, this time in the Australian doggy bible, Dog’s Life May/June 2011 edition. 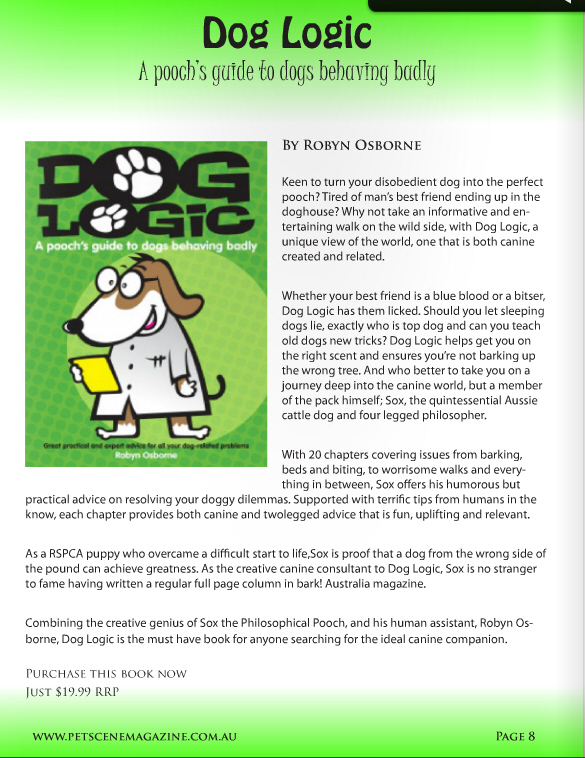 There were also five Dog Logic books to give away in the boneanza!. Radio interview with ABC Coast FM Neil McKinley (Sox was unavailable for comment and was happy for me to represent him).